THE DAUGHTERS OF MARS sounds like an excellent read. What do you think? This week marks the 100th Anniversary of the start of World War I.
Atria Books is recommending Thomas Keneally’s DAUGHTERS OF MARS as an important read regarding this complicated and brutal war. The trade paperback edition of THE DAUGHTERS OF MARS is available now. Thomas Keneally began his writing career in 1964 and has published thirty-one novels since. They include Schindler’s List, which won the Booker Prize in 1982, The Change of Jimmie Blacksmith, Gossip from the Forest, and Confederates, all of which were shortlisted for the Booker Prize. He has also written several books of nonfiction, including his boyhood memoir, Homebush Boy, The Commonwealth of Thieves, and Searching for Schindler. He is married with two daughters and lives in Sydney, Australia. 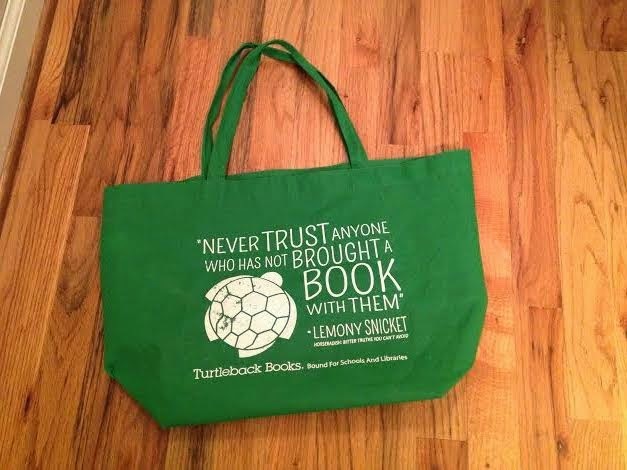 I have been meaning to feature this bag on my blog ever since I came back from the BEA. It is my favorite bag from the event because of the saying on it. I am just kidding, but I do LOVE that saying. What do you think about that TERRIFIC saying? A social worker charged with child negligence? A ten-year old left alone? What do Ellen and Jenny have in common? The common thread has built a beautifully written story by Ms. Gudenkauf. It deals with social services from the adult and the child's side and what can easily happen both good and bad​. ​You will feel Ellen's pain as she deals with an accident she herself as a social worker deals with every day but with a situation she never thought she would have to personally deal with. You will want to hug Jenny and take her home with you. ​How could a ten-year old have to deal with so much? I was a bit worried LITTLE MERCIES was going to be too intense for me when I first started reading, but the author's writing style is so amazing along with the storyline that you don't want to stop. You "must" continue to see how things turn out. LITTLE MERCIES allows the reader into the world of social services and lives of children that most of us don't know about and don't have to live through. LITTLE MERCIES is a book that tears your heart apart, but has wonderful lessons about life and things to think about. The meaning of the book's title is explained as you read, and I enjoyed the meaning because it is so true. I started looking for "little mercies" in my own life. I would put LITTLE MERCIES on your must read list. It is a book that will take you to a world people actually live through and make you glad you do not, but it will also make you realize that family is the most important element we have, and we should count our blessings. My rating is a HUGE ​5/5. I took this content from a Shelf Awareness e-mail dated July 10, 2014, to share. From New York City to Tennessee? Was Cassie making the right move? She thought so, but meeting family members she hadn't seen since she was three was frightening as well as disillusioning. She had to find out her roots, to find out what happened to her mother, to find out why her mother really didn't want to live in Sweetwater, Tennessee, and to find out why her grandfather left her the family home and 60 acres​. What could the reason possibly be when she never knew him? Cassie is an interesting character that you will love and one that pairs up with an absorbing story that unfolds as alternating ​voices from one generation to the next tell their tale in this splendid story. SWEET WATER smoothly flows from Grandmother Clyde's narrations to Cassie's retelling, reliving, and revealing of the secrets the Clyde family held. Ms. Kline has this time written a marvelous book about families, roots, and life-changing secrets. Every family member was good at keeping secrets especially the one that Grandmother Clyde kept for 20 years and the secret that ate at her for her entire life. Did Grandfather Clyde want Cassie to find something out? Perhaps the secret? I really enjoyed ​SWEET WATER because of the characters and the way Ms. Kline ​just pulled you in with her terrific, creative, thought-provoking storyline. My rating is a 4/5 because SWEET WATER is a read you won't want to stop reading once you get going.​ If you have read any of Ms. Kline’s other books, you know what a treat you are in for when you read SWEET WATER. The only thing that is holding me back from giving the book a 5/5 is that it was difficult to figure out who the one narrator was until a number of pages into the book and also because of the peculiar love story. I am not sure how this love story fits in with the storyline except perhaps to prove how dysfunctional the Clyde family was. Don't miss reading this newest addition to Ms. Kline's already fantastic lineup.